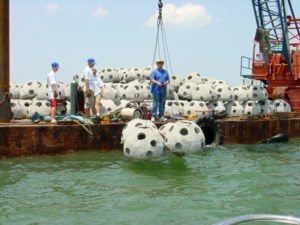 The SBEP has funded the construction of nine artificial reefs in Sarasota Bay to increase and enhance recreational fishing and scuba diving areas and to create and restore marine habitat lost to coastal development. Florida is the fishing capital of the world largely because Florida carefully manages its valuable marine and aquatic resources. Commit yourself to ethical angling. The future of your sport depends on it! Only keep fish for food. By adopting just a few simple habits, recreational anglers can greatly increase the chances that the fish they catch and release will survive. This means each and every angler can positively influence the future of Florida’s fishing stocks by striving for 100 percent survival of released fish. 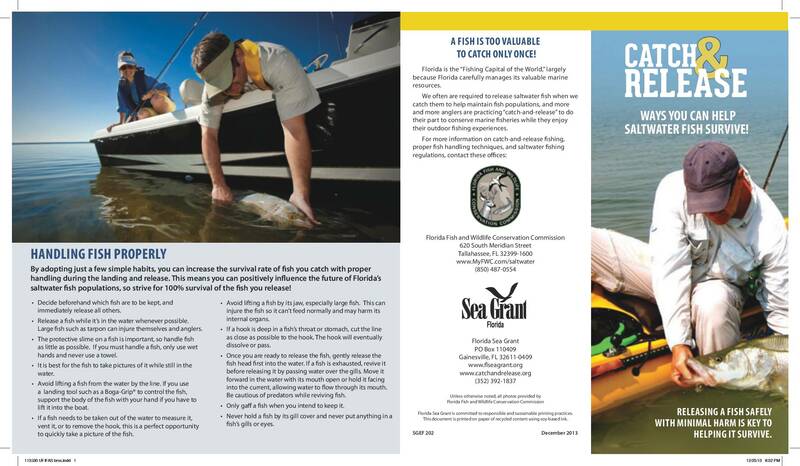 You can learn more about how to safely catch and release fish on the Florida Fish and Wildlife Conservation Commission webpage. 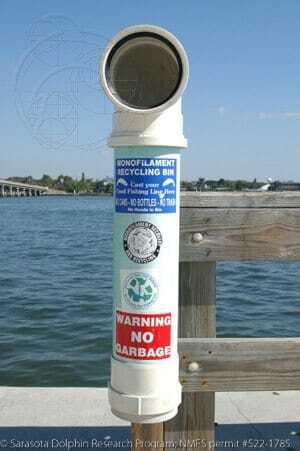 Discarded monofilament fishing line is hazardous to everyone and everything. Every year it causes injury and death to many kinds of marine wildlife. Animals may swallow fishing line, resulting in illness or death. Wildlife may also become entangled and as a result drown, starve, or lose a limb. Fishing line is not just a problem for wildlife. It can also be a threat to divers and cause significant damage to boats.